Want to learn how to run faster? Don’t worry about it. I mean, that’s the main attribute of runners that most people are concerned with. The moment people find out you’re a runner, they start asking about how quickly you run, how fast you complete races, or your time on certain distances. They inquire about personal records (PRs) and about minute-per-mile averages. Well, the problem is that while lots of runners are proud of how quickly they can power through a mile, many are not–especially new runners. New runners are always self-conscious about their running, and one of the most common concerns I hear from newbies is that they’re too slow. They want to learn how to run faster because they don’t want to come in last place at their race–or because all the experienced runners are faster than they are, and they feel ashamed. That’s just crazy. Let me tell you a secret: no one cares but you. I mean, if you have learned how to run faster over the years, great. I put in that effort because it was fun for me, not because I had insecurities from being around other people. And while we’re on the topic, the people that truly impress me in races aren’t those who finish first. I care about the ones at the end of the race, that last handful of people who bring up the rear. When I’m enjoying a banana and a bottle of water, they’re still pounding the pavement. They’re enduring so much more pain and frustration than I am. To me, that makes them the real superheroes of the running community. Slow runners are really superheroes in my mind. Sure, they might not be The Flash, but that speedster is certainly not the only superhero around. And who wants to be the Flash anyway? I mean, sure, he’s quick, but the dude can’t take a punch. He’s got a glass jaw. He might be hard to catch, but the moment something actually catches him? Bam! Pow! Zot! And he’s down for the count. So are you really sure you want to learn how to run faster? Because the real superheroes–or at least the ones you should want to emulate–can take a beating and keep on going until the day is saved. 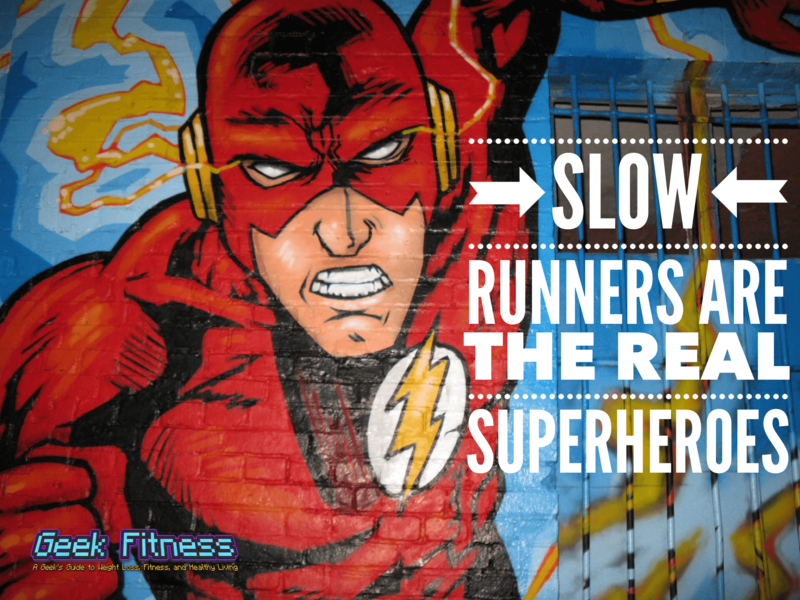 Which is why I say slower runners are the real superheroes. Because they’re taking so much more punishment than the fast runners. They’re working way harder at that race than the rest of us. By pulling up the rear, they’re spending double–sometimes triple–the amount of time on the course as faster runners. That means they are taking way more punishment, and–if you ask me–that means they’re way stronger. Running is an endurance sport, and the longer you’re out there, the more you have to endure. All running faster does is make it so that they don’t have to take nearly as much hell as the people who are bring up the rear of the pack. They get out of the way for the real superheroes to save the day and mop up. 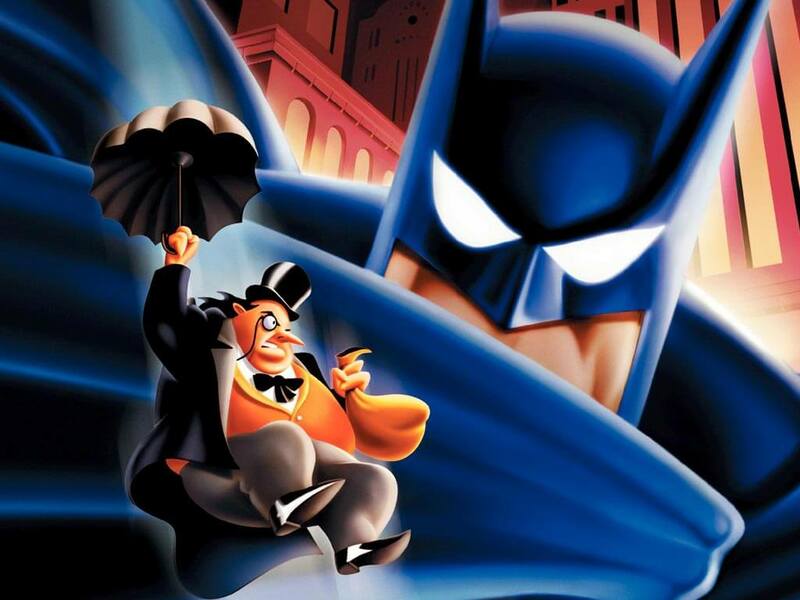 Since I’m talking about superheroes, I can’t not mention the idea of penguin runners. No, not like the rotund rogue from the Batman comics, though I bet he wouldn’t be getting any first-place finishes, either. No, what I’m talking about are John Bingham’s disciples, the penguins. This is a like-minded group of people who run for the love of running, who race for the joy of racing. They pay a fee to run a course, and by golly, they’re going to get their money’s worth. Penguins don’t care about Runner’s World articles on how to run faster. They’re not interested in breaking PRs and crossing the finish line a few seconds faster than the people around them. No, Penguins tend to be slow and at the back of the pack. They’re not racing to get a medal or a PR. They entered the race to be around a group of people who share a common love. They always have smiles on their faces. They’re running because they want to run, and for no other reason. Some people have said penguins are supervillains who ruined the sport of running, but in actuality, they brought the sport to the masses and made it the open, loving, social community I know and love. Don’t be ashamed of telling someone your PR or your min/mile pace. If they’re a runner, they’ll smile and be excited for you. Because you’re both runners. The running community is wonderful and supportive. We’ve all been at the back of the herd at one point or another. And we all will be again. If you’re the kind of runner who’s scared to sign up for a race because you think you’re too slow, put that out of your mind. If you’re worried, just make sure there’s no time limit on the race (or that you can finish in the time allowed). I promise that you will not be the only slow runner there. And even if you are in last place, you won’t be crossing the finish line alone. I have never been to a race where the last person didn’t just as many get cheers and as much applause as first place. In fact, they probably got more because there were more people hanging around to see it. Whether you’re a walker or a slow runner or a jogger, don’t ever feel like you are out of place at a race. Don’t feel like just because you don’t cross the finish line first that you’re not a valued part of the community. Or that you are somehow less-than. It takes heart to run slow. It takes a lot more strength to be on a marathon course for 5 hours instead of 3. It takes a ton more perseverance to have a 50-minute 5K than a 17-minute one. You have to be a lot stronger mentally and physically to stick with it. You have to train and push and exert just as much to get to the finish line as anyone else. That makes you runners. That makes you superheroes. I always get upset when people get mad at the slower runners, like we are somehow taking away from the elite awesomeness of fast runners. Hey, I bet you any amount of money Usain Bolt doesn’t think his gold medals are tarnished because there were people who competed that didn’t even come close to his time. Thanks, Meg! I’m right there with you! The main thing I love about the sport is that my performance in no way diminishes anyone else’s and vice versa. If people get upset at slow runners, then I honestly think they need to take a look at the sport as a whole and at themselves. I just would like to say… I love you for writing this message. As a slow asthmatic runner, this gave me a bit more confidence to just keep running no matter how bad my times are.